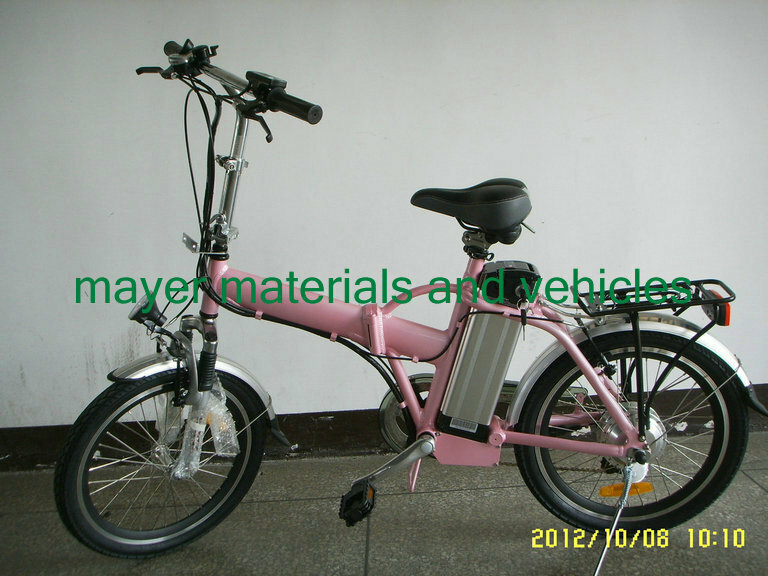 our company supply containers of this kind of folding bike to EU and USA country. accept OEM, ACCEPT customer design, customer logo. accept sample order 1 set, shipping by sea or air. make sure customer get it at wholesale price but retail service. 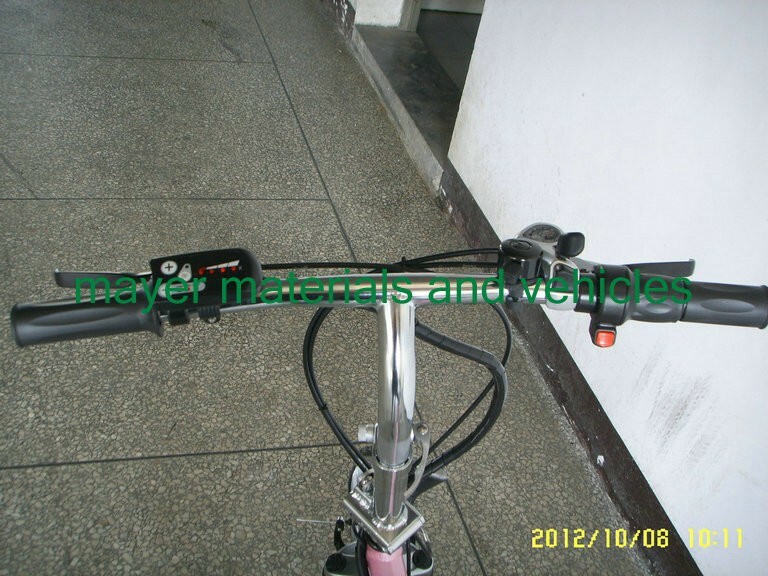 because it is convenient to take everywhere, on metro(tube), in house and to office, and also to put into your car trunk. save your space and cost product specification frame:6061#Aluminum alloy(foldable)	motor: Brushless 36V/250W (adjust according to country need )	36V/10AH lithium battery	ZOOM suspension fork	Brake:front /rear Tektro V brake	Brake lever: WUXING Brand	Handle Bar/Stem: ZOOM Brand	Seat post : foldable or Suspension	Handle with battery power indicator	Dimension of tyre:KENDA 20”×2.125	LED headlight and taillight Shimano 6 speed gears	PVC mudguard	 charge time: 4-6H	Charger life: >500 times	Charger: 100V AC – 240V AC (adjust according to different country need )	Max speed:25-30km/h	Driving distance:>50kms	Loading capacity: 120kg	Available colors: black, silver pink, yellow	Pedal Assistant System: 1:1	Multi-function display on handle bar: with 3 level PAS speed, power on/off switch	container loading: 20″FCL 110pcs 40″FCL 270pcs	N.W:23kgs; G.W: 28kgs	Carton dimensions: 135X26X63CM	 front part–handlebar with battery meter, brake, bell, speed switch, shifter	 front light. shimano derallieur	 foldable bike frame with fast release accept OEM, ACCEPT customer design, customer logo. 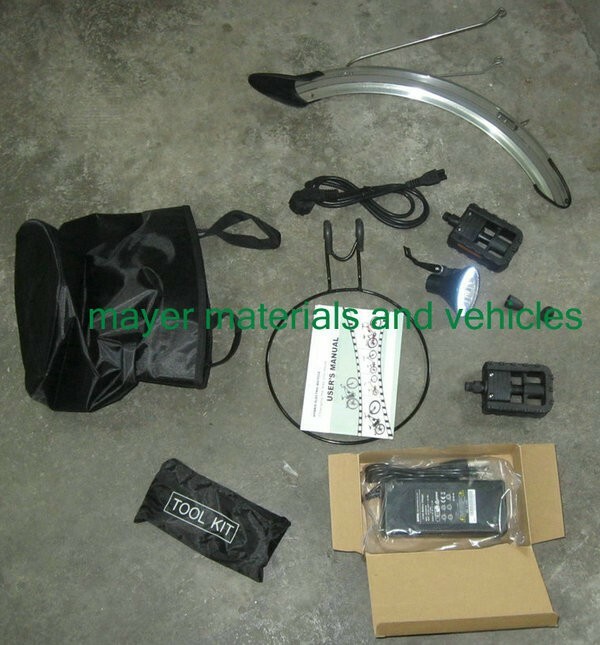 shipping with bike: 1% parts, accessaries, such as bike bag, rain coat, tool kit, and so on. special attention please !!!! 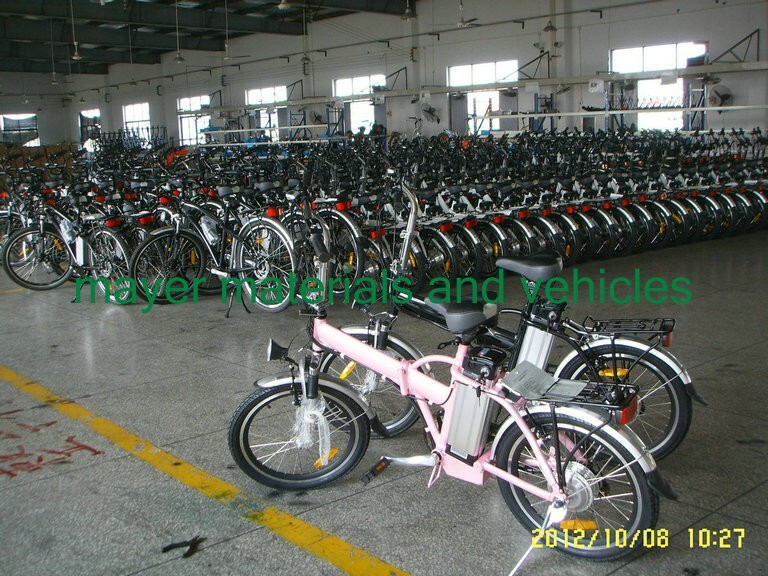 since electric bike has lithium battery, it is sensitive cargo to logisitic and express company so we need sent battery seperately, and freight is charged to us according to volume weight, this model volume weight is 1352663/5000=45kg	so freight is high. price didnot conclude freight. if you are dealer, please leave message, we can talk wholesale price and ship by sea. if you are personal buyer and want buy one or two sets only, please also leave mesasge, we can talk to find better shipping way for you. try to find you discount.